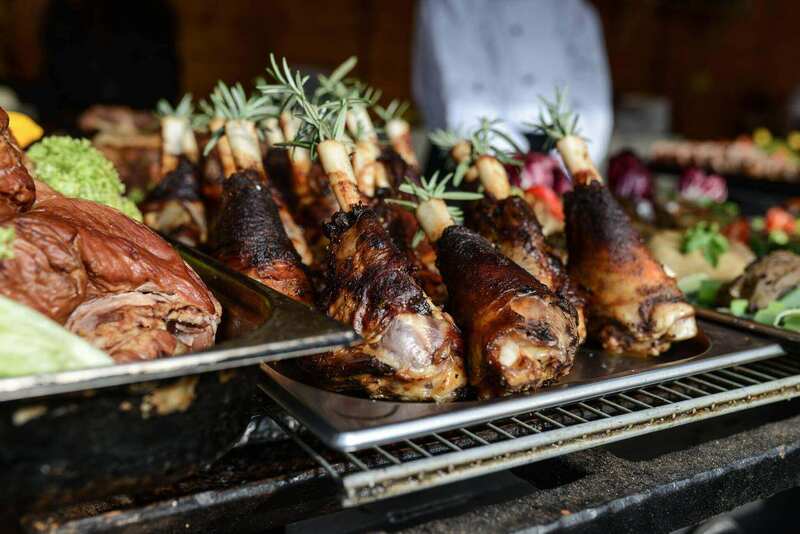 If you’ve ever called a scruffy friend a hairy pig, you’ll be pleasantly surprised that in Budapest, where at some point in the year there’s a festival for literally everything, there is one devoted to hairy pigs as well. No, not your shabby friend, but the actual, unique and world-famous hairy pig breed, the Mangalica. On the pictures, these creatures look fuzzy and cuddly, but that impression lasts until you meet them in person. They are furry. And BIG. And awesome. So even if you decided to travel to Budapest for the architecture, Buda Castle and other attractions, it’s worth a detour. This is certainly Europe’s, and probably the world’s largest festival devoted to hairy pigs after all!! Just think of Hungarian dog breeds (search for komondor or Mark Zuckerberg’s favorite puli in particular), and it will follow naturally that when Hungarians wanted to create their own breed of swine, they were looking to get as much fur as possible – besides the rich and distinctive taste. So if you’re in Budapest between February 8-10 (Friday through Sunday), make sure you check out this event. For the food, the great ambiance, and the hairy pigs! In fact here are all the reasons why you should visit this free festival, right in the heart of downtown on the Pest side (on Szabadság tér), very close to the American Embassy, and the life-size statue of Ronald Reagan. See the Mangalica for yourself: this is the only pig breed with such a long and woolly coat after all. Free entry: feel free to stop by even for a short time at no charge! Buy goods directly from producers: cut out everyone else, support the people whose product you’re buying. All products are certified by the National Association of Mangalica Breeders. Get a bunch of things apart from meat, including high-quality honey, home-made jam, syrup, cheese, and spices. Don’t forget about great Hungarian wines and pálinka!! Explore authentic arts and crafts in the „Hand-crafted Goods Street”, while listening to great live music of various genres or taking part in gastro shows. 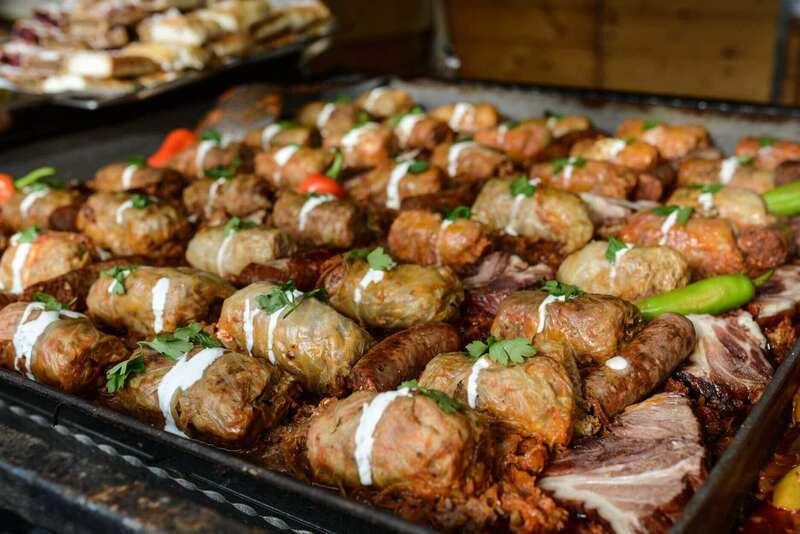 Stick around for the bogrács (traditional big cauldron) cooking contest on Saturday!! 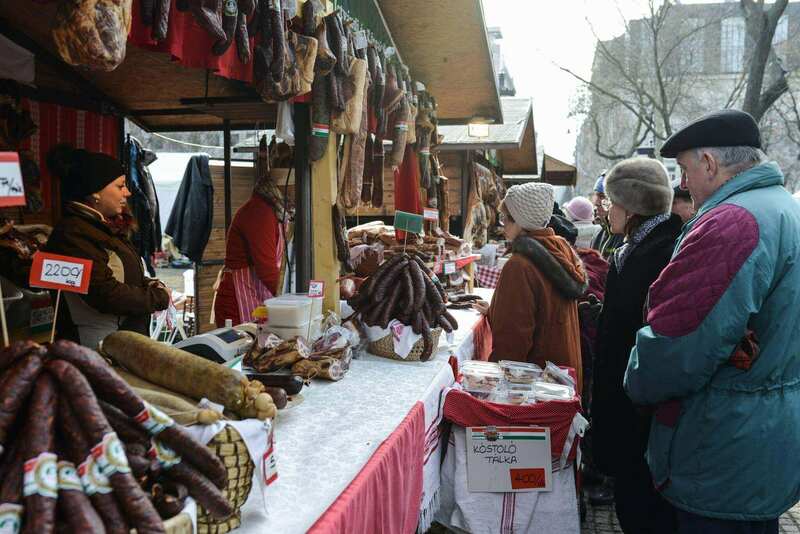 Location: Szabadság tér (Parliament Neighbourhood), district V.
Dates: 08-10 February 2019, Friday – Sunday Admission: Free, tasting of Mangalica products at the exhibitor stalls is usually free. Hostel TIP:Maverick City Lodge a great choice if you want to be close to the festival and right in the heart of the city.